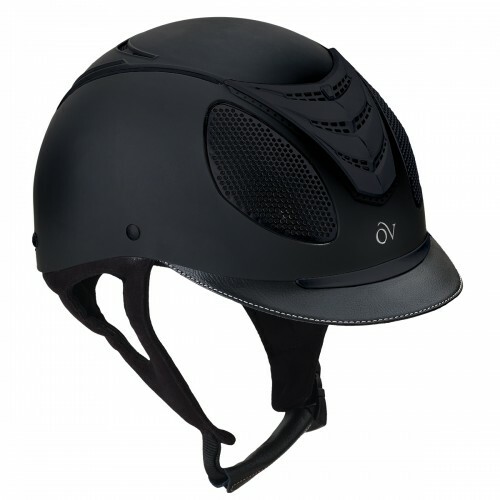 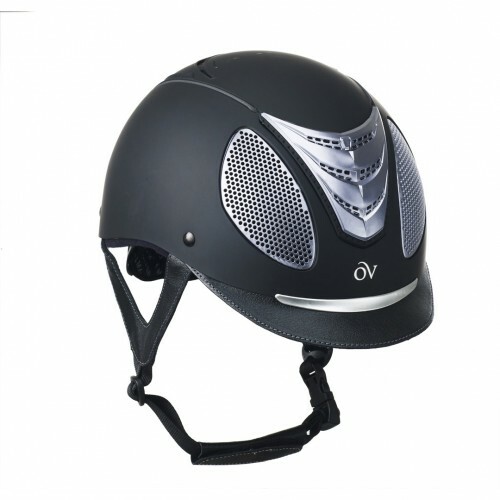 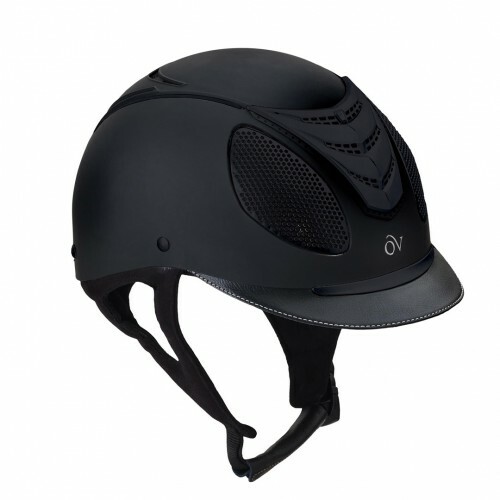 Jumping Ovation® helmets to the next level of style with a popular large air vent look! 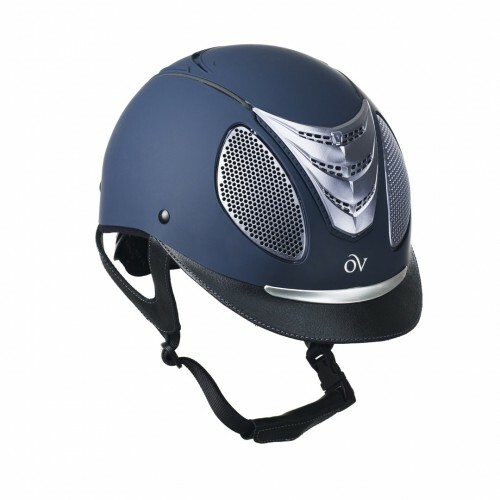 Features: genuine leather visor and harness, easy adjust dial for a snug fit, easy to clean rubberized finish, removable washable Coolmax® liner, exclusive YKK® adjuster clip and buckle which are positioned to stay off of the rider's face, and nylon carrying bag. 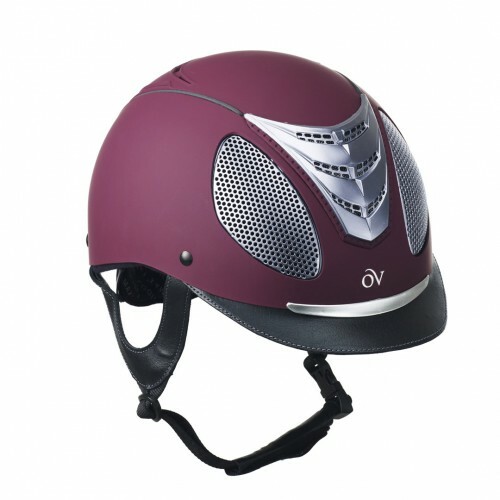 Certified to ASTM standards.